Distrust, disengagement and legal disputes have plagued relations between the state of Maine and tribal communities for a long time. Distrust, disengagement and legal disputes have plagued relations between the state of Maine and tribal communities for a long time. No single policy, official or administration is going to be able to bridge those longstanding divides — it will take significant and sustained effort from both the state and the tribes. Improving tribal-state relations could prove particularly difficult for Gov. Janet Mills considering her complicated interactions with the tribes in her previous role as attorney general, which saw her on the opposite side of litigation from Maine tribes. In an attempt to move forward from this complicated history, Mills has started with some symbolic gestures — including invitations for the Maliseet, Micmac, Penobscot and Passamaquoddy tribes to participate in her inauguration ceremony. She has also, importantly, signaled a willingness to make much-need improvements in how the state reaches out and listens to our native neighbors across the state. By appointing Donna Loring as her senior adviser on tribal affairs, Mills has, at the very least, sent a positive signal that her administration is ready to engage in difficult conversations. Loring has an impressive resume that makes her uniquely positioned for this new role in the governor’s office. 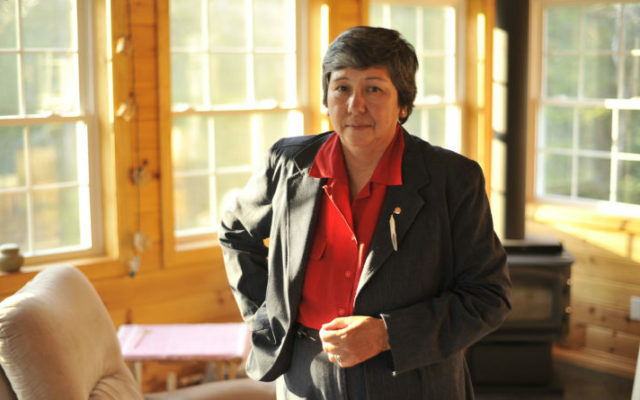 She served in Vietnam as a member of the Women’s Army Corps, was the Penobscot Nation police chief for six years, represented the Penobscot Nation in the Legislature for 12 years, and has served on the Penobscot Tribal Council. In many ways, the senior adviser role to Mills can be seen as a continuation of much of Loring’s life work. It should be no surprise, then, that Loring is realistic, though optimistic, about the daunting task ahead. “There’s hundreds of years of history here — and it’s not going to be solved overnight, for sure,” she told the BDN, noting that there is some skepticism from the tribal community about her new role. The press release announcing Loring as the tribal affairs adviser described the role as multifaceted one, with Loring serving as both a liaison between the governor’s office and the tribes and a policy resource on tribal issues. function to be In her interview with the BDN, Loring emphasized the liaison role and sees her most important serving as a tribal voice within the administration. “Trust is key — it’s the bottom line,” she said. One potential avenue to build trust and open dialogue is to reinvigorate the Maine Indian Tribal-State Commission, the 13-member body created as part of the 1980 Maine Indian Claims Settlement Act that is tasked with continually reviewing the effectiveness of the act and the relationship between the state and the tribes. The commission has been largely dormant as of late. Mills has expressed interest in getting the commission back on track, telling the Portland Press Herald she plans to appoint commission members once her Cabinet is in place. Loring sees the commission as a natural forum for increased dialogue, even if the conversations are likely to feature disagreement and divergent interpretations of the Settlement Act. Commission managing director Paul Thibeault told the Press Herald he is “encouraged by the positive statements from Gov. Mills about the need to repair the relationships,” while echoing the obvious reality: this won’t be easy. Loring, who served in the Legislature with Mills and endorsed her during the governor’s race, said she trusts the new governor to follow through on her overture of crafting a new relationship between the state and the tribes. But the new senior policy adviser on tribal affairs knows it’s not all about the administration. The tribes must also take an active role in reshaping the relationship. “It’s a two-way street, and some action has to follow,” Loring said. Loring’s appointment isn’t a solution unto itself, and some skepticism about the potential for improved tribal-state relations is warranted given past and current realities. But with her experience and realistic expectations, she’s a strong choice for a very difficult job.